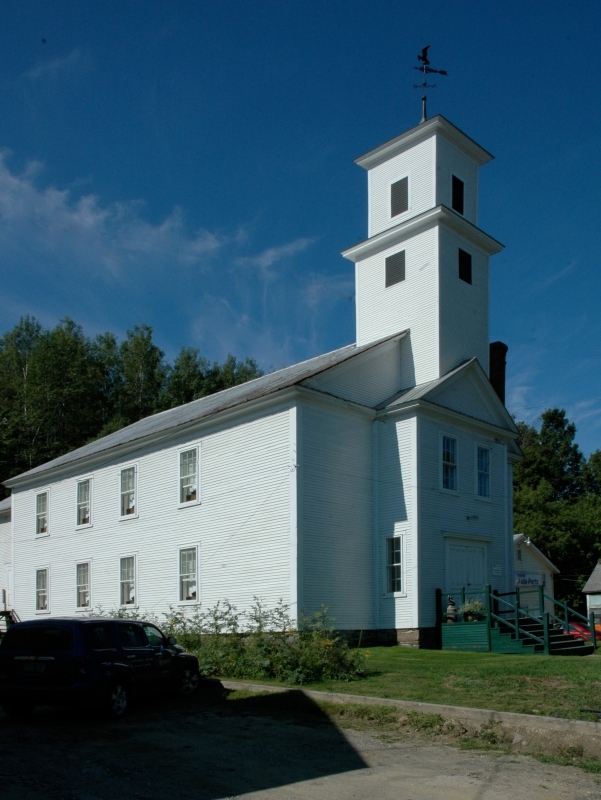 The Sixteen Windows of this project’s title are the sixteen major windows illuminating what was formerly a congregational church in Johnson, Vermont. 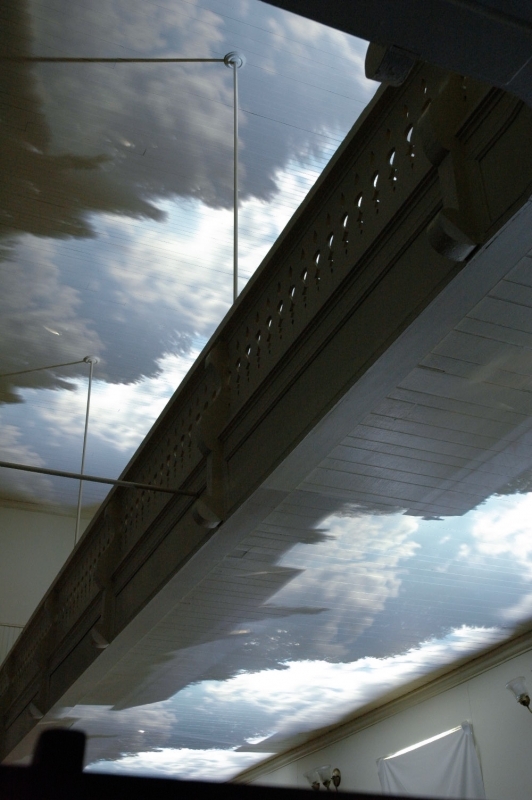 The heart of the piece was a carefully engineered camera obscura configuration: in each darkened window, a lens and mirror reflect and focused the outdoor sky and horizon onto the ceiling. 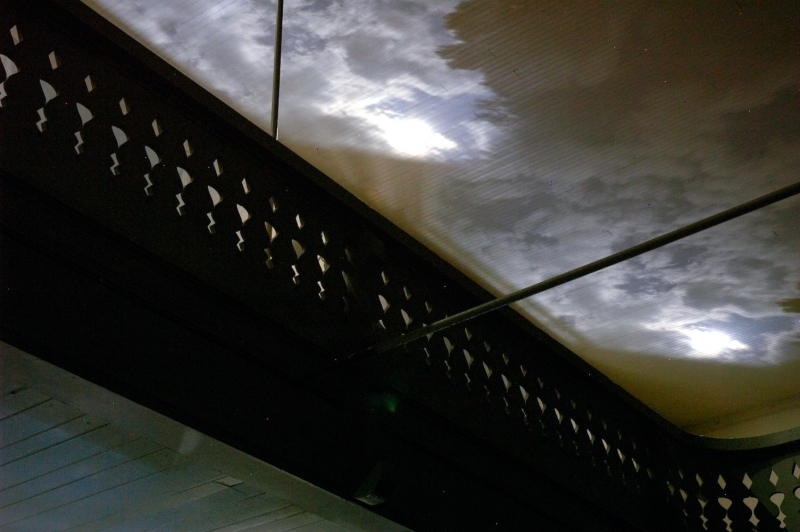 Viewers looked up to the high upper ceiling at an apparently continuous projection of clouds, sun, sky and treetops from the four windows on each side. 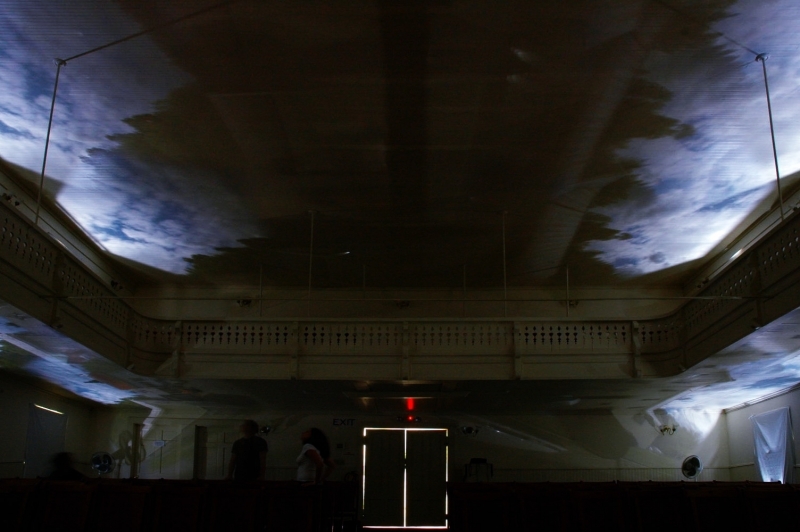 The lower story windows projected onto the ceiling beneath the balcony in a similar way, but the projections included some of the neighboring architecture, and could be scrutinized more closely from the floor. The images were live, full color, richly present. The visual effect of the subtle light, the movement of trees and clouds and air and the quiet, contemplative atmosphere in the subdued illumination were very difficult to document objectively. 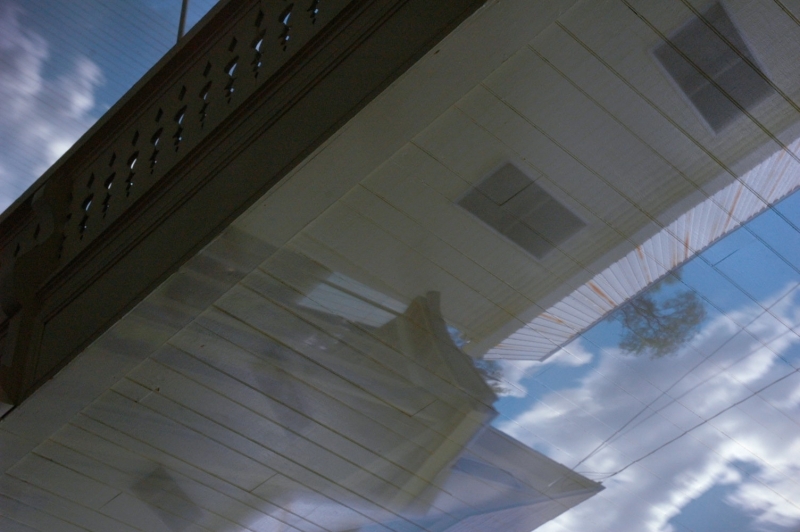 Time-lapses, while accelerating the natural changes in light, are the closest thing to a representation of the viewer’s experience that is possible. However, what is not communicated by still or moving images is the slow dilation of one’s irises in the low light, the silent coolness of the space, and especially the presence of other viewers moving, observing, talking quietly. 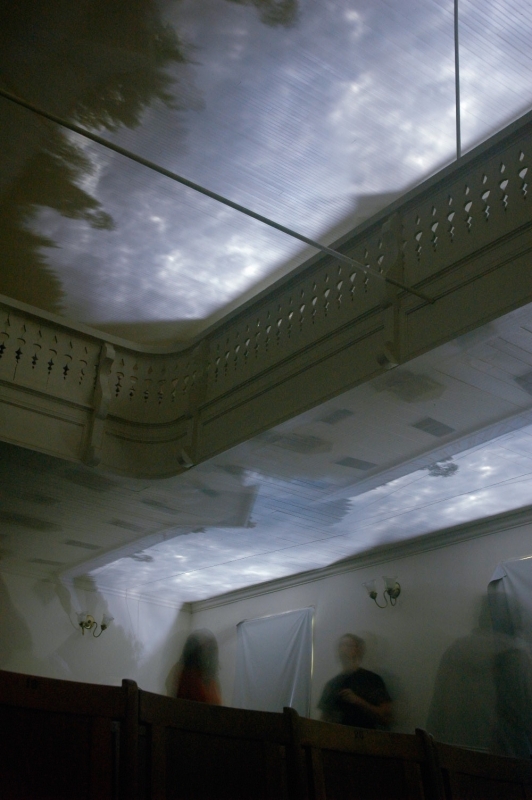 The piece was as much about a communal experience as about a visual reconfiguration of the outside world on a specific architectural space. In a sense, the building sees its own surroundings.